Typing doesn't come to everyone naturally. Some of us can crank out 80 words per minute without breaking a sweat, while others have to hunt and peck to string together a sentence. Either way, there's still room for improvement. 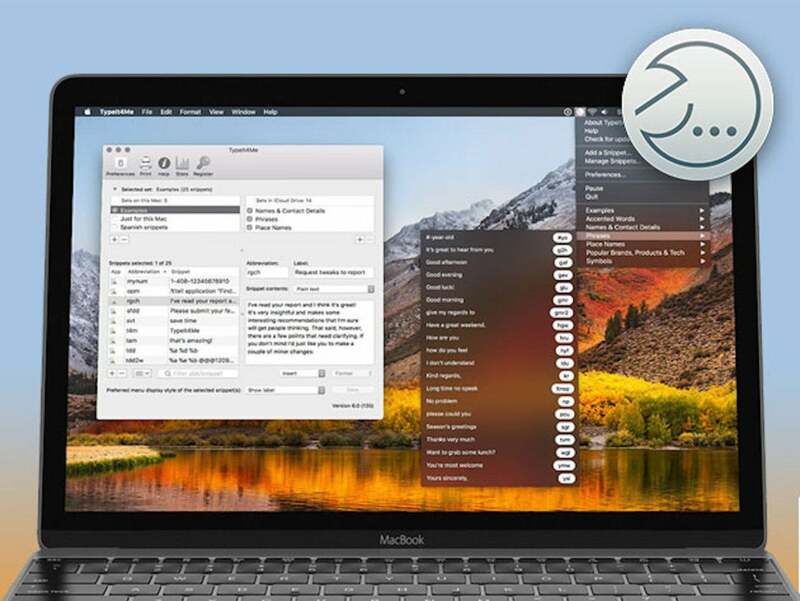 TypeIt4Me allows you to create shortcuts that expand to longer words, phrases or pictures, so you can type common things like names, email addresses, contact details, phrases, and more in just a couple keystrokes. And you can try it for yourself today for half-off the usual price. Whether you find yourself writing the same technical terms or lengthy legal boilerplates, TypeIt4Me for Mac lets you effortlessly abbreviate common phrases, so you can churn them out faster. You can use it to easily insert dates and times, and it even corrects the frequent typos that usually trip you up, saving you time—and embarrassment—down the road. You can dramatically improve your typing speed with TypeIt4Me's host of intuitive features, and it's on sale today for only $9.99.